Released in March 1971, Ransom for a Dead Man was a big-budget spectacular, with its magnificent production values, dramatic score and stellar cast making it ‘Event Television’ in the truest sense. In a classic Columbo meandering move, he immediately identifies himself to Agent Carlson and Leslie as someone they don’t need to take seriously. How? By mumbling about how the lemon-shaped soaps in Leslie’s soap dish get wet and stick together. When he questions Leslie about it, she snaps back: “It’s a problem!” But while the intellectual pair mentally dismiss Columbo, the wily Lieutenant is already formulating his case against her. Hats off to the production team for this under-the-radar gem. Margaret is chomping down on brekky following her return home from Switzerland. Her choice of breakfast TV viewing is the 1944 hit motion picture Double Indemnity. Don’t know what it’s about? A wife who plans to murder her husband and live off the ill-gotten gains of a fraudulently taken-out life insurance policy. It’s not quite the same plot as the episode unfolding before our eyes, but is a very nice touch! 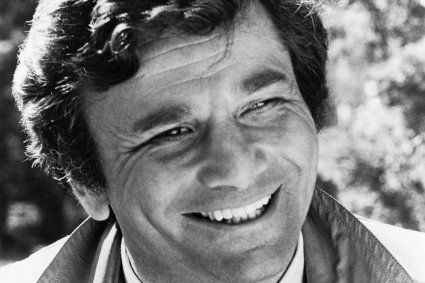 Following an encounter at the diner, Columbo is clearly on Margaret’s side and working to bring about Leslie’s downfall. But when the feisty teen attempts to clumsily frame Leslie with no evidence, the two allies briefly go to war. When Columbo takes Margaret to task about her antics in front of Leslie, Margaret loses the plot and lashes out at the detective, who catches her arm just as the blow’s about to land. “Young lady, don’t you ever do that again,” he says, before she tearfully races away. Columbo and Margaret’s plotting eventually yields results as Leslie agrees to pay Margaret a lump sum to keep her quiet and get her out of the country. After Leslie and Margaret say a frosty farewell at the airport lounge, Columbo springs the trap. He greets Leslie and the two share a consolatory drink – at which point Columbo reveals he has the briefcase of ransom money and that it’s game over for Leslie. As she’s taken downtown, a waitress hands Columbo the bill. Despite having $25,000 in cash on the table in front of him, he doesn’t have a dollar of his own to cover the drinks. Another under-the-radar moment, but the scene in the courtroom following the revelation that Leslie’s husband’s body has been found where the Lieutenant asserts his authority over the smarmy Agent Carlson is a moment to treasure. The message is clear: Columbo may be small. He may be scruffy. But he will not be pushed around. This is a theme that will be revisited time and again in the series long run, but it was never more effectively done than here. If you enjoyed that, you might enjoy my full-length review of Ransom for a Dead Man here. Are your favourite Ransom moments featured above? If not, let me know in the comments section below. Tags: Lee Grant, Leslie Williams, Lieutenant Columbo, Margaret Williams, Patricia Mattick, Ransom for a Dead Man. Bookmark the permalink. We just watched “Ransom for a Dead Man” last night. The quote is incorrect. Columbo actually says “I just can’t have you accused of murder on the wrong evidence” which is a lot more threatening. Hey, didn’t see his car in this episode at all. Maybe in the shop? Does anyone know if Lee Grant was wearing a wig? They hadn’t chosen the car at this stage! And I do think Lee was wearing a wig, although I’ve never read anything confirming that. One of the stranger things about this episode is Lesley’s, the murdering wife’s, wardrobe. She has this enormous mop of hair, then wears these baggy outfits that drive me crazy. Does anyone in Southern California need ten fur coats? In almost every episode she is wearing a different, massive fur. Lesley Williamson deserves to get arrested if for nothing else than the outfit she wears in the final scene~baggy blouse and pants, and that ridiculous fur! She looked like a bag lady, and must be suffering from anemia. Her outfits were completely appropriate, well fitting suits for work and comfortable and relaxed for at home. In 1971 these styles were popular and Quiana knit fabric was so comfortable you could live in it. It was used to make dresses, tops, pants, and evening wear. Regarding number 3, I’ve come to think that by this point Margaret and Columbo are in it together… It seems to me this exchange helped bring Margaret and Leslie’s later showdown to fruition. They were definitely in on it together at this stage, but the attempted strike to Columbo’s face seems to have been unplanned in the heat of the moment. I saw it live, as it were, when it aired for the first time in 1971. I was all of ten years old, and had only seen Peter Falk before in The Great Race and It’s a Mad (x4) World, both favorites. So began a fascination with this actor that continues to this day, almost 47 years later. Favorite “Ransom for a Dead Man” moment: he and Leslie at airport table, he says, “Mrs. Williamson you have no conscious. That limits your imagination. It never occurred to you that most people would never take money to cover up a murder.” And her look is priceless. For me the best is Columbo’s cocked head when encountering and listening to the murderess for the first time. Like he’s got torticollis or something. You can virtually see the cerebral neurones going into overdrive on top of his wry neck. I’m a bit surprised that Columbo’s plane ride didn’t crack the top five. Good point! Columbo’s fear of heights would come back again in “Short Fuse”. Certainly a cracking scene (as is Lesley calling out Columbo’s ‘shopworn tricks’) but these 5 are my fave 5 regardless. His fear of heights also came up in Swan Song. Comments like this delight me! Thanks a million! A great review. Number 2 was always my favorite; there’s Columbo with 25,000 in front of him and he doesn’t conceive of taking a couple of dollars to pay for the drinks! My brother and I are working out way through the series again in order. Recently, we saw this episode and had to rewind the Agent Carlson scene about 5 times. We had forgotten the scene and were overjoyed to have found it again. We think it ranks among the top 10 moments of all Columbos, not quite as high as the gray gloves in the raincoat pockets but certainly great to see Columbo give a little attitude back… respectful with the “Mr. Carlson” but a little Italian salute with the “I’ll see ya around”. Perfect!! !